Sally May is a 13 yr old beagle. She’s fostered in Omaha NE and has been in our rescue for 3 years. You would never know she’s 13 though, because she loves to take you for your walk!! It’s her favorite thing to do. After her power walk, she’s ready for napping the afternoon away. The sun spot is where she tends to lay, or in her doggie bed that she cuddles up in. 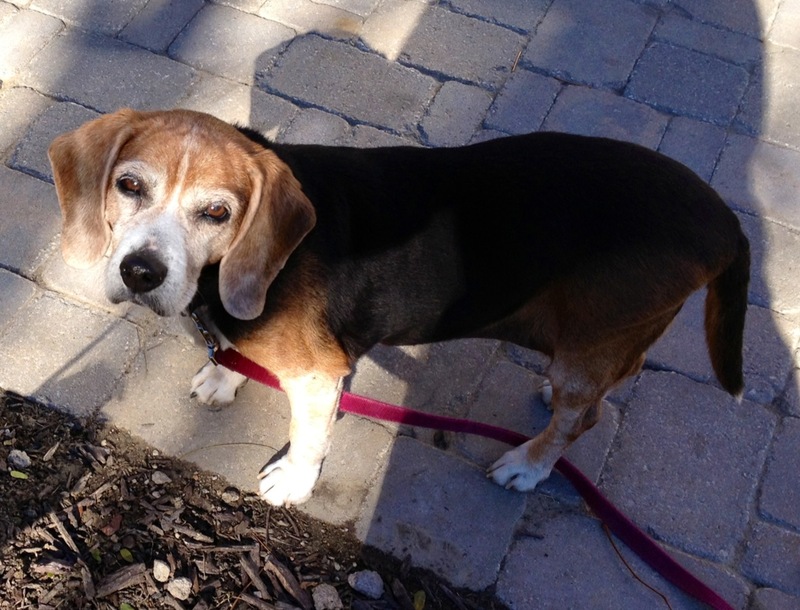 Sally May is kennel trained, potty trained, and just wants a comfortable spot to spend her senior years. As long as you like to go for walks and wont forget to feed her – she’s your girl!! So, fill out an Adoption Application for Sally May today! Or if you want to find out more about her, check out her full profile. This entry was posted in Dog of the Month on November 12, 2013 by Richard.